He was Born and raised in Pirin mountain, far away from the sea. However, he was a professional swimmer for a long time. His official meeting with the sea happend after participation in a lifeguard course managed by the Bulgarian Red Cross. He was a lifeguard at various places, camping sites “Gradina”and “Duyni”, “Thracian Cliffs”, etc. A key role in underwater fishing for plays Radoslav Kachikov, when they both participated in a mussel hunt at Agalina cape. 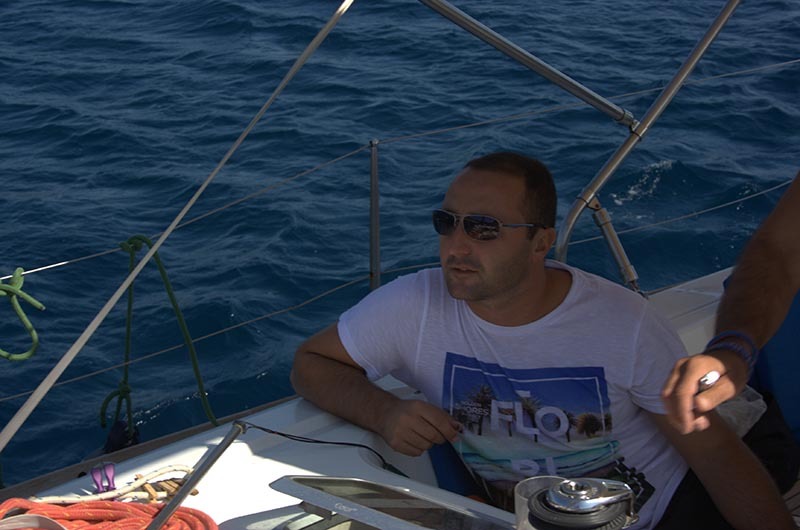 An important role in Radoslav’s life also plays Pepa Mavrodieva who introduced him to the world of sailing. Rado is an expert in organizing all kinds of events – camping, open-air events, group activities.